Why choose video to communicate? August 30 2012 - Two billion. The number of hits that YouTube gets in a day, as not only a viewing platform but as a search tool too - making it the second largest search engine in the world (after Google). But why has YouTube become such a popular platform? And why are we turning to it for information? Put simply, and to refer to that well known phrase "there's an app for that", there now appears to be a video for it too - broadening the way we are communicating and granting people access to content that powerfully informs, entertains and even shocks. However, the fascination with YouTube, or (more importantly) video, extends far beyond the realms of needing to be entertained and informed. Its popularity has derived from something far more highbrow - a shift in society and our behaviours. You only need to think about the way we operate today to prove this point. We are constantly grappling with time and a need for more of it, caused by inordinate social pressures - rushing from social engagement to social engagement; working longer than ever before (spending 5 hours more at work each week than our EU colleagues); and having an increasing reliance on smartphones so that we are never really "switched off". The result? We have become a time poor generation that can't afford to spend huge amounts of time on one thing or to search for information on a product or service. It's this very thinking that has driven the popularity of video: a media that seems to solve our desire to get information quickly and concisely whilst on the move. Whilst the idea of using video is by no means a new concept, corporations have only recently started to embrace it and taken note of internal and external stakeholder's need to engage with businesses through this channel. This notion was reflected in BergHind Joseph's 2012 Global Players study, which highlighted a marked shift in the way brands (be it B2B or B2C) were communicating. With a number of companies now actively demonstrating a willingness to invest in professionally-shot video footage as a realisation has been made: stakeholders want to quickly understand what an organisation is about, especially when it comes to ideas about potentially working for them. Microsoft effectively uses video in their 'be your future' campaign: an initiative that aims to give job seekers insight into working life at Microsoft. They do this via regularly updated blogs from their interns and employees - allowing them to do the storytelling about working life at Microsoft. Deutsche Post DHL use video exceptionally well for their 'Working Abroad' feature, where three interviewees based around the world - one British, one Indian and one American - are shot on location, and tell their story about working for the company. What's more, their stories are told at their own pace, complete with 'ums' and 'errs' to create a passionate and authentic-sounding portrait of the business. Pepsi have developed a series of videos for the 'Power of possibilities' that sits within the careers section of their website. It is here that Pepsi offers a series of pacy videos that have been shot around the world (including Brazil, Argentina, the Netherlands and the US), where senior and middle-management employees give us a taste of what it's like working for Pepsi. It's not just larger corporations that are using video to communicate with stakeholders, and it's important to realise that this communication tool no longer sits with companies that have big budgets. The accessibility to video and demand for it now means it's a viable (and affordable) communication platform for smaller organisations too. This is reflected by the level of support available today within the market: from assistance in developing a compelling story for your video, to support for driving traffic to a video after the 'final cut'. Video is no longer a 'misunderstood' communication tool that resides in the big broadcasting houses or of ad agencies. It's now accessible to all. Want to find out more about the power of video in business communication? 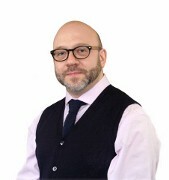 Ian Brownhill: Ian has over 20 years' experience of working in research, project management and strategic leadership roles for a range of organisations including Which?, London Transport and the Prince of Wales's Charities Group.